Why Escola Internacional de Alphaville? A family truly passionate about education capable of establishing an innovative Brazilian school of bilingual education. The inauguration of Escola Internacional de Alphaville in 2000 brought to life an innovative and challenging proposal - a bilingual education that does not subtract, but enrichens Brazilian culture by designing a curriculum that is equally shared between English and Portuguese. The school founders come from a long family tradition in education, and therefore have ample experience in the formation of students. The school is the result of a vision held by a family of passionate educators with over 70 years experience in the field. Ms. Maria da Conceição Altenfelder Silva Mesquita and Mr. Roberto Chioccarello have been dedicated educators since their early teenage years, and this has certainly rubbed off on their children, Ms. Ana Cláudia Mesquita Chioccarello Favano and Mr. Ricardo Mesquita Chioccarello. 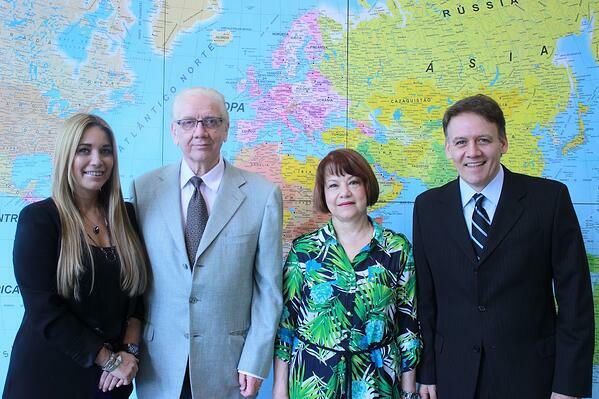 The family together are both the founders and form the governing body of Escola Internacional de Alphaville. In 1947, Ms. Maria da Conceição’s father, Mr. Alberto Mesquita de Camargo, and her mother Ms. Alzira Altenfelder Mesquita set up a small school in the suburb of Mooca in São Paulo. Back in the day, students who wanted admission to a public school had to sit an entrance exam, and it was the preparatory course for theses exams that they began teaching. Due to its success, the number of course participants progressively grew. This growth led to the inauguration of São Judas Tadeu college. In 1970, Ms.Maria da Conceição Altenfelder Silva Mesquita and Mr. Roberto Chioccarello founded São Judas Tadeu University. In 1995, the family, aligned with a powerful vision, decided that Brazil needed a more innovative school that prepares children for the changing world. With this in mind, they set out in search of possibilities, and this is how Escola Internacional de Alphaville was born! It was the mid 1990’s when the family’s vision was set to project paper, and planning began. An extensive market and feasibility study revealed that there was a lack of bilingual education in Brazil. There were a number of international schools in operation, but they were not entirely appropriate for Brazilian students. Aside from the foreign curriculum, normally designed to prepare students for the respective country of origin, Brazilian students at international schools studied in another language at the expense of their Brazilian mother tongue and cultural roots. The founders perceived that these students presented difficulties on the highly competitive Brazilian university entrance exams, the Vestibulares, and were at a disadvantage when compared to students who had ample study time across a variety disciplines in Portuguese. 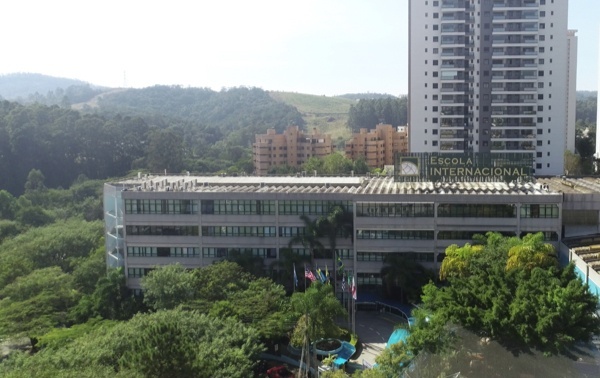 This was the basis upon which Escola Internacional de Alphaville was built, and it was inaugurated as a Brazilian school of bilingual international education in the year 2000. Akin to some of the best international schools around the world, culture and national identity are valued. The founders sought to develop in children solid social and moral competencies, knowledge and a set of skills that would prepare them for a rapidly transforming world in the 21st century. Over the years, we have specialised in organising for our students experiences that will better prepare them for the world of opportunities that await them when they graduate from school. Permeating our curriculum is an emphasis on the development of social and interpersonal relationship skills, amongst other valuable hard and soft skills. 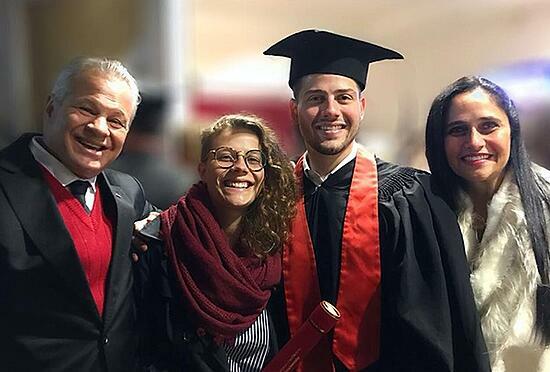 We are proud of our accomplishments, and we celebrate the success of over 350 former students who shine in major Brazilian universities and universities abroad, as well as those with prominent roles and responsibilities in the workforce. To achieve and further articulate our mission everyday is our greatest pride, it propels us forward creating new paths, innovating along the way as agents of transformation. It is with distinguished honour that we contribute to making the world a better place by cultivating young citizens who are knowledgeable, principled, reflective, self-confident and prepared for the challenges posed by modernity. Do you want to prepare your children for a better future? Find out how to enrol!